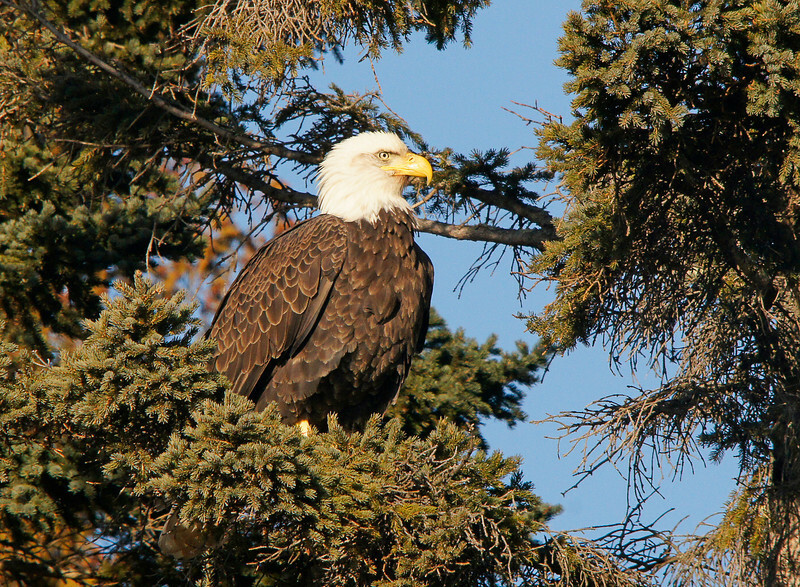 One of the highlights of the day was a close encounter with a bald eagle. 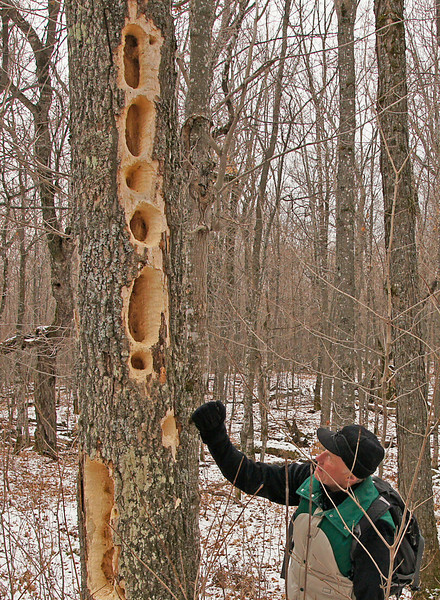 We came upon what I would call a cafeteria tree where the pileated woodpeckers were getting access to the ant larvae inside. 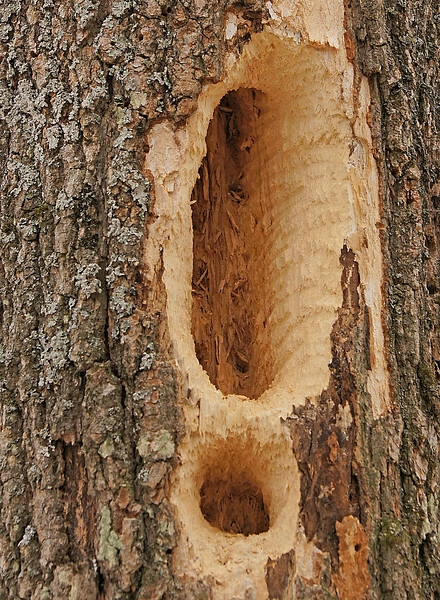 The tree looked healthy but the ants had taken over the inside. Most of the inland lakes along the North Shore are now covered with ice. Many do not have sufficient ice for safe travel but Lake Agnes which is located four miles up the Caribou Trail froze earlier than most. 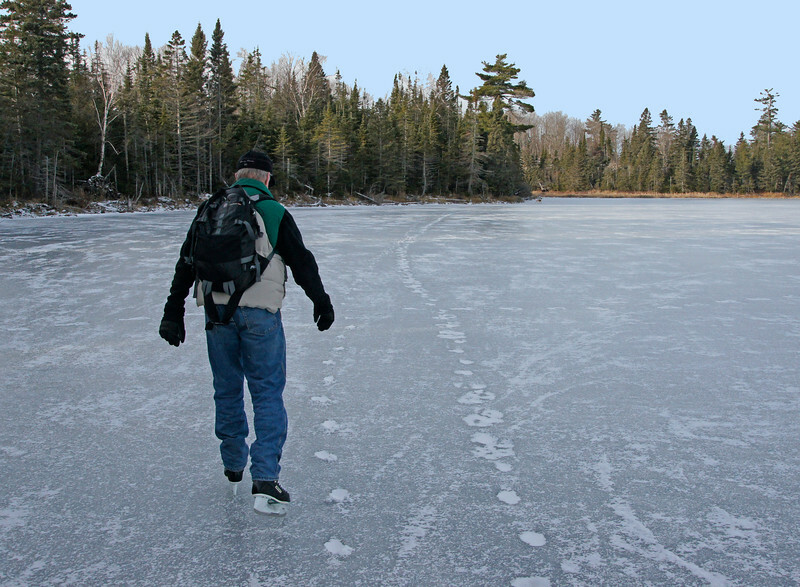 I hiked into this remote lake with a friend of mine to do our annual skate around the lake. We took a chisel and found 5 inches of ice which is enough to hold a skater. It was a beautiful day for an outdoor adventure. 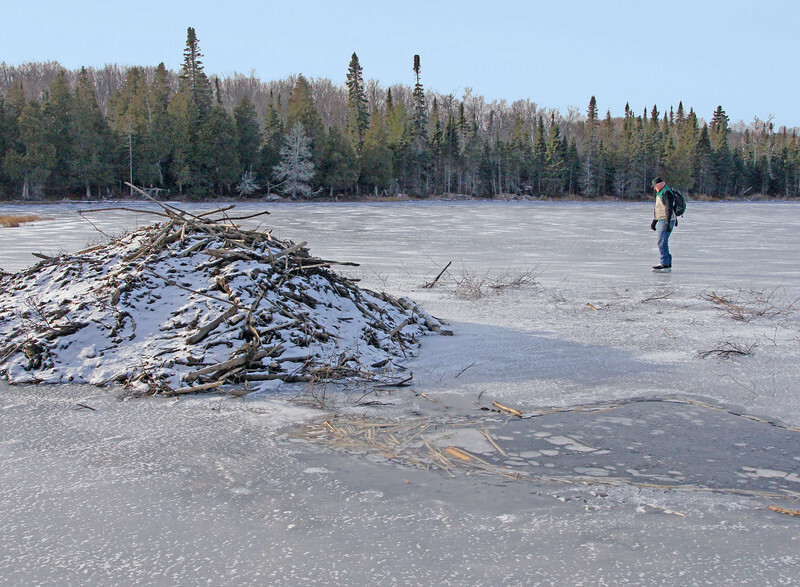 As we skated around the lake we found an active beaver house. The beaver had been coming out on the ice to feed. Their tracks were frozen into the top of the ice. We also saw otter tracks and several wolf tracks where a small pack of wolves traveled the previous day. After skating to the end of the lake we hiked to the overlook high above the Poplar River. 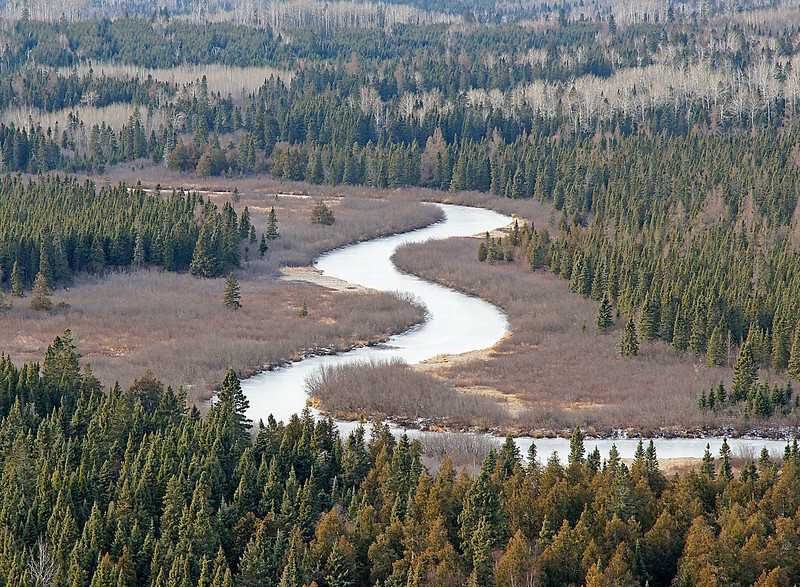 As we looked down on the river valley we were hoping to see the wolf pack running on the river ice. 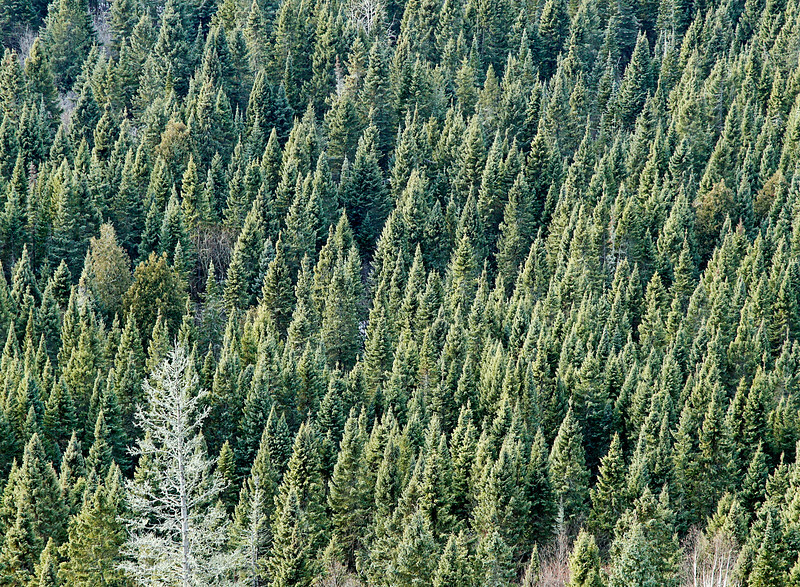 The adjacent forest looked like thousands of naturally pruned Christmas trees ready for harvest.